We’ve officially entered the last month of summer and to celebrate this great season, here are some of our favourite summer interior trends! There’s still time to crack out these great decor options, but hurry… There’s only a few more weeks to go before autumn sets in! The most popular trend of this summer is bright pops of colour. Lime green and navy blue are the biggest hits of this season! Small wonder, these gorgeous natural hues are reminiscent of our beautiful Australian summer. Incorporating splashes of colour can brighten up any table setting, while creating an inviting and cheery atmosphere. Your guests will love the inclusion of colour and will no doubt be inspired. Bring Australia’s natural beauty into your dining room with unforgettable pops of colour! Texture is another big hit of this summer. 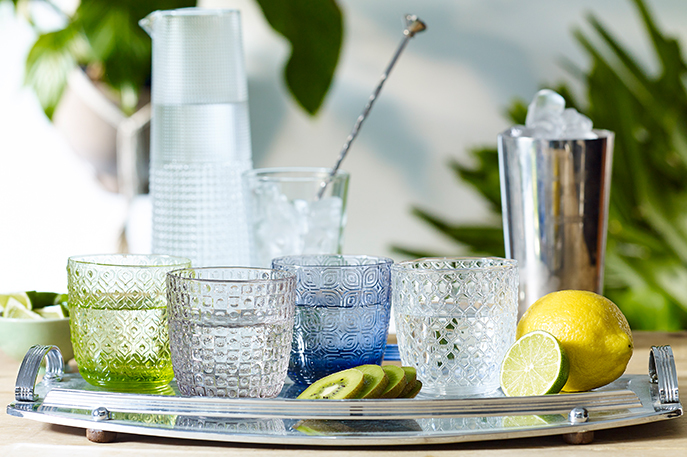 Engage all your senses by including hints of texture to your tableware. Unconventional yet fun, texture is a bold statement and is not for the faint of heart. However, subtle inclusions can make a powerful statement. 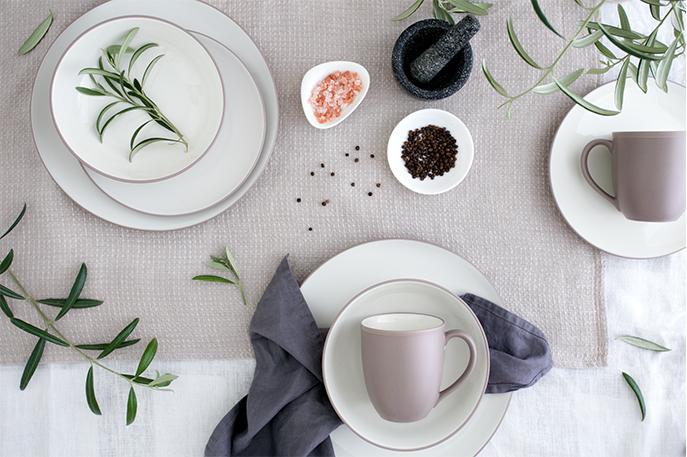 Consider our Linen Road dinner set, which features delicate raised dots. Because of its intricacy, this texture is a true feat of creativity and design – plus, it’ll impress your guests! On the other hand, minimalism is always a popular trend amongst Australians. The classic and elegant approach to interior design is a timeless trend. Whether it be in your cutlery or your tableware, minimalism is a huge hit all year round. However, minimalism is hard to perfect. Crisp, smooth lines are a must, but quality is another important consideration. Investing in pieces that will last ensures that you can mix and match trendy items with timeless tableware. Looking for minimalism yet still want to create a warm and cozy atmosphere? We’ve got the trend for you! Muted palettes such as clay and slate bring a subtle wave of colour whilst maintaining a chic aesthetic. Choosing the right colour can be tricky but introducing neutral colours ensure that there are no clashing elements. Calm hues can beautifully compliment any pops of colour that you want to play with!